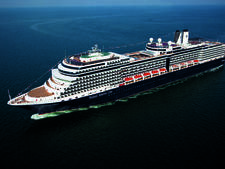 Holland America Line aims to strike a balance between classic and contemporary, and Noordam, christened in 2006, manages this well. 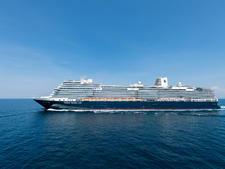 The ship's smaller size, with fewer than 2,000 passengers, gives Noordam an intimate feel that makes it easy to meet people and make new friends. There are lots of nooks for conversation and quiet diversions like backgammon or settling back with a good book. Dinners in the main dining rooms and two specialty restaurants are leisurely. Pre-dinner entertainment includes listening to a violin-piano duo perform and dancing to ballroom and show-tune classics. Afternoon tea is served daily. 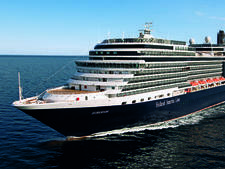 The best of Noordam's onboard programming skews toward the educational, such as cooking presentations, Microsoft-sponsored computer workshops and BBC Earth documentary screenings. On our Alaska and New Zealand sailings, the piano bar was about as rowdy as things got, with merry singalongs running until midnight. 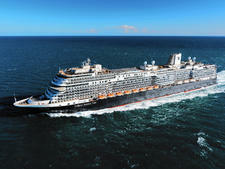 Australian and New Zealand cruises attract a slightly more lively crowd, although the vibe still tends to be low-key. The excellent B.B. King's Blues Club is the top pick for those seeking some less sedate late-night fun. By day, the Explorations Cafe -- with its clubby, coffeehouse vibe and free online access to the New York Times, plus a nice selection of books and games -- was a steady hub of activity. The comfortable recliners near the windows were also popular for reading or napping. 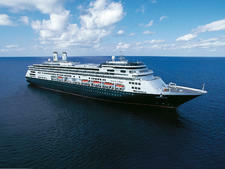 Compared with some HAL vessels' decor, Noordam's is downright glitzy. A three-story atrium midship sports a curvy green glass stairway crowned by a colossal Waterford Crystal compass. Gold-hued tiles mirror the surrounding walls. In the elevator lobbies, oversize urns sprout artificial foliage and busts of the Dutch royal family mix it up with ornate metal settees. However, there is little need to sit down when it comes to elevators. 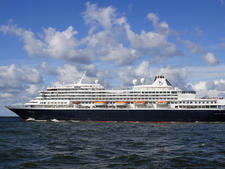 Noordam has an impressive number for such a small ship, which means there is seldom a wait for those who prefer not to take the stairs. As in other HAL vessels, some impressive and eclectic artwork provides lovely visual surprises throughout the ship. Historic photos of HAL cruisers from days gone by line the hallways and are a good fit for the ship's traditional feel. 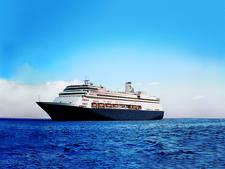 The youngest of HAL's four early-2000s-vintage Vista-class ships, Noordam shows some signs of wear (separating wallpaper seams, worn carpet in areas). But the overall ambiance makes the ship a good choice for those who don't need waterslides or ziplines to find their bliss at sea. 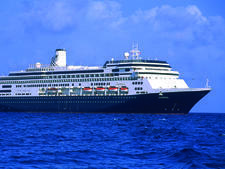 With an average age of 55, Holland America passengers skew slightly older than those of some major lines. 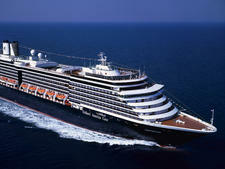 On Alaska cruises, about 80 percent of cruisers are older than 50; about 40 percent are over 65. 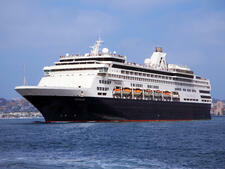 Ages were older on our recent New Zealand to Australia cruise. 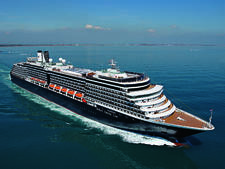 In general, Alaska cruises and those taking place during the Australia and New Zealand school holidays attract more families. 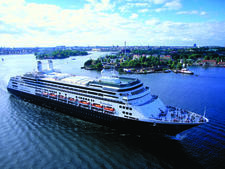 On most Alaska sailings, Holland America cruisers are 60 to 80 percent North American, although this percentage skews towards Australian and New Zealand cruisers when the ship comes Down Under. 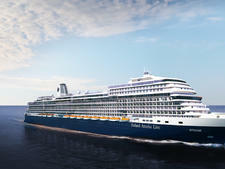 However, you will still find many nationalities onboard, with Americans, Canadians, New Zealanders and Australians making up the majority of the passenger base. 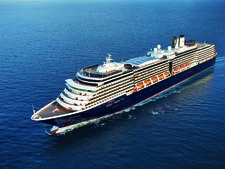 Cruise Critic’s professional photographers and our extraordinary community members have taken 2,702 pictures of Holland America Noordam. When you visit our photo galleries, you can be assured that what you see is what you get. Daytime attire is casual, though shorts and tank tops aren't allowed in the dining rooms. The Lido Restaurant is more laid-back but does request that diners wear shoes and a shirt. Recommended dress code on most nights is "smart casual," meaning skirts or pants for women and casual slacks and shirts for men. Two formal nights on our cruise brought out a smattering of tuxes and sequins. Cocktail dresses for women and sport coats and slacks for men predominated. 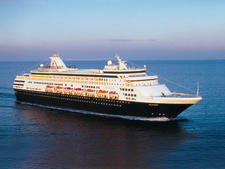 Alaska, Australia and New Zealand, and Pacific Island itineraries are typically fairly informal on Holland America. On European sailings, passengers tend to dress up more. An automatic US$14.50 (US$16 for suites) per-person tip is charged daily. In addition, a 15 percent gratuity is added for spa services and bar tabs. The amount can be adjusted up or down at the service desk.